After a couple cassette releases and her first full-length, last year’s Half Way Home, she’s back with a brand new record that brings out her voice in ways we haven’t heard before. Early on there was a lot of covering for insecurity-a thick country twang at times, some whispered words. Neither of which will be found on Burn Your Fire For No Witness, Olsen’s strongest release to date. When I first heard her sing, I thought she sounded like a mix of Joanna Newsom and Connie Francis. Those comparisons have fallen by the wayside, but the vocals retain a kind of timelessness-the songs could be old folk tunes or some kind of post-apocalyptic odes to times forgotten. The album doesn’t come out until mid-February, but a single was released a while back that you can check out here. It’s big and bold and completely different than what you might expect after hearing Olsen’s early work. I really dig how she just kicks the door open with the guitars and Josh Jaeger’s drums-anything is possible on this new record, and if the crazy distortion at the end is any indication you should free your mind of any pre-existing expectations. 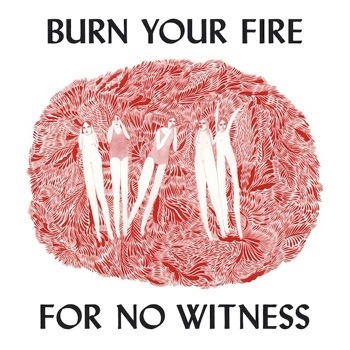 Burn Your Fire For No Witness is Olsen’s first album on Jagjaguwar, nurturing label for such bands as Okkervil River and Bon Iver. I think it’s a good fit for both of them, and I look forward to many albums in the future. Olsen seems to be a more confident singer and the songwriting has matured with every release. You can check out a couple of her older releases on Spotify while you await the release of the new record on February 18th.